Kevin Catalano has read 8 of 34 books. Kevin Catalano read 31 books of his goal of 30! 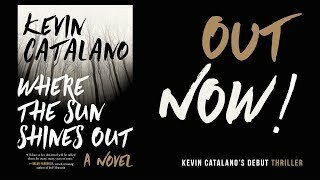 Kevin Catalano is the author of Where the Sun Shines Out, a novel from Skyhorse (2017). His first book, The Word Made Flesh, is a collection of dark short-short stories. Other work has appeared in places like PANK, storySouth, Monkeybicycle, People Holding, Booth, Pear Noir!, Atticus Review, Gargoyle Magazine, FRiGG, Used Furniture Review, Aethlon: a Journal of Sport Literature. His stories have also been anthologized in Press 53’s Surreal South ’13, Fiddleblack Annuals #1 and #2, and in Dark House Press’s Exigencies. He earned his B.A. in English from UNC-Greensboro, and his M.A. 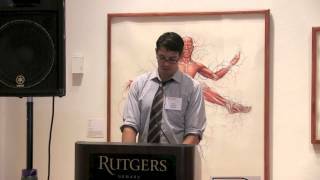 and MFA in fiction from Rutgers University-Newark. He teaches at Rutgers and lives in New Jersey with his wife and two children. To ask Kevin Catalano questions, please sign up. Have you read 'A Little Life'? Where'd you get that shirt? I want it. Kevin Catalano It's in your top drawer, stupid. Vote WSSO for Readers' Choice Award? Would anyone be willing to vote my novel, WHERE THE SUN SHINES OUT, for Best Suspense Novel of 2017? It's simple: just click the link, scroll down to the SUSPENSE category, and click on my book. We’d love your help. Let us know what’s wrong with this preview of The Howling Ages by William Hastings. Wow, these are breathtaking, mindblowing, heartpumping poems. Extraordinary how this is Tolentino's debut since he composes with the confidence and wisdom of a master. We’d love your help. Let us know what’s wrong with this preview of Where the Sun Shines Out by Kevin Catalano. We’d love your help. Let us know what’s wrong with this preview of Wild Hunger by Suzanne Wright. "I wouldn't re-read & I wouldn't recommend. " 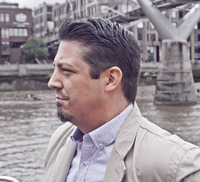 Queen's Ferry Press publishes collections of literary fiction.